Last week I made a late trip down to Melbourne, I had hoped to spend the week seeing a majority of customers that I don’t see on my regular trips. Unfortunately due to the ill health of Robyn I could only get away for a couple of days. So instead of driving down Sunday, I left late thursday afternoon and could only spend Friday seeing a few people. Saturday was spent attending a Yachting Australia Racing Rules and race officers meeting at Royal Brighton Yacht Club, before the return 10 hour drive home on Sunday. Why drive? Too often I’m asked do you have this to show me, I haven’t seen that before. having a van full of products enables me to show a range of the nearly 10,000 items in our price list. 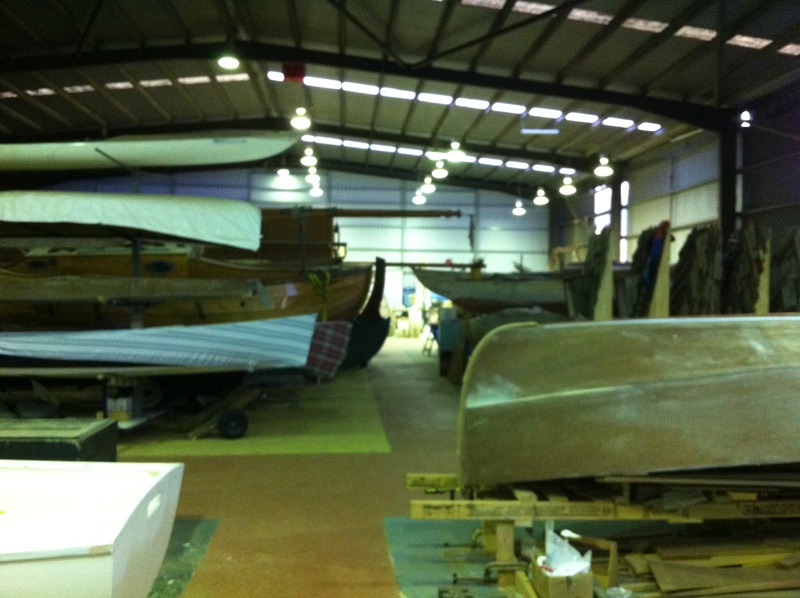 I had the chance to visit the Melbourne Wooden Boat Centre at Docklands. This is a Co-operative of owner builders building a nd repairing a quite differing range of craft. Luke Evans is one of those building his first little sailing dinghy, a 16’er as seen in the front right of the photo. Luke is after a classic style in his finish and Liros do a range of ropes that will hopefully fit his final look. I was able to show him a variety of the DeckHardware range, including the Allen fittings and PROtect Tape. Some of the other boats ranged from a Minnow up to a Dragon class yacht, there were rowing sculls and Dragon paddling canoes, quite a range. Saturday at Brighton was a first also. As my clubs Principal race officer, I try to keep up to date on what’s going on, especially with the new ISAF rules coming in to effect in January. Each state had a nominated person to vote but there were several of us sitting in and able to to comment where neccessary. It will be interesting to see the new rules of Sailing come in to effect as I had not been involved before.